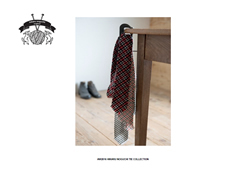 HIKARU NOGUCHI’S AW2016 COLLECTION is timeless and genderless, well designed knitted accessories which have the incredibly tactile comfort of natural fibre. The question: What would you like to keep in your wardrobe for the next ten, twenty or thirty years, and still be as happy with it then as you are today? 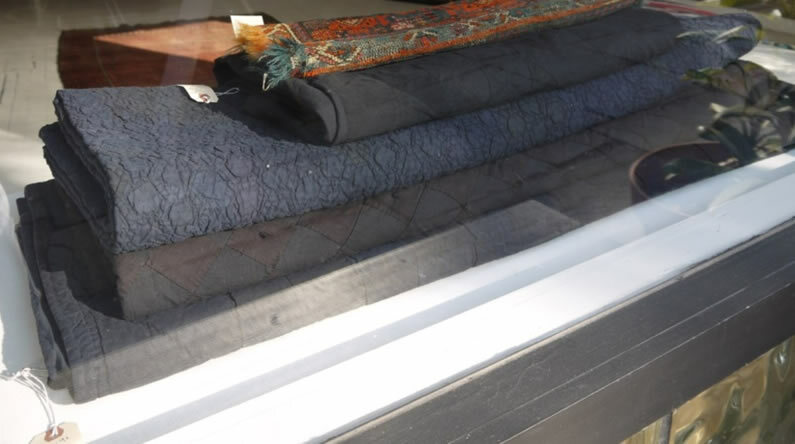 HIKARU NOGUCHI’s designer, Hikaru will a launch a free mending service for the majority of items in the collection, in keeping with the philosophy that our products should last forever. 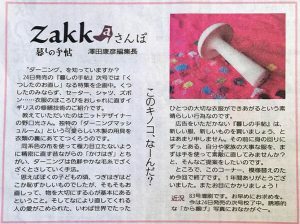 As part of this service, Hikaru will also sell Darning Mushroom Kits, which are essential traditional haberdashery tools for Visible and Invisible garment mending. 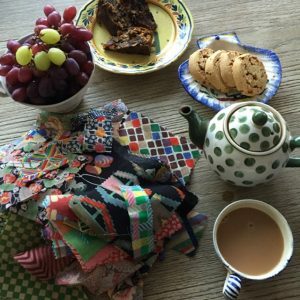 As she travels around the world, Hikaru offers to mend damaged knitwear for free, asking the owners of the garments: ‘Why do you want to repair this garment?’ From this exchange, Hikaru notes and records the owners’ reasons and the stories behind why they want to preserve the garment. HIkaru believes that understanding the relationship between owners and their garments contributes to her creativity when thinking about and designing her knitted accessories collection as she has been doing for the last twenty years. 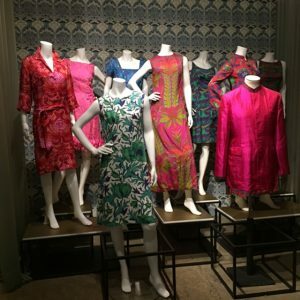 For Quilts Japan’s Summer Issue Hikaru Noguchi reports on the LIBERTY IN FASHION exhibition at the Fashion and Textile Museum in London, and on the doyenne of British printed textile designers, Sarah Campbell. QUILTS JAPAN 2016 SUMMER issue is now on sale. Hikaru visited the LIBERTY IN FASHION exhibition at the Fashion and Textile Museum in South London for QUILTS JAPAN magazine. 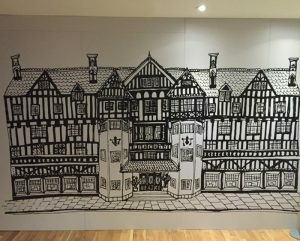 To understand more about this exhibition and the history of Liberty, Hikaru attended a one day study seminar at the museum. The seminar included the very interesting social history of Liberty. Especially interesting was a talk by Angela Smith about how Liberty influenced the late 1960s to 70s Fashion and Social movements. I remember those styles and hearing about the social movement of the late 60s, but I was too young to understand what it was about at the time. I also talked to and exchanged personal experiences with other Liberty fans, ex- employees and suppliers. 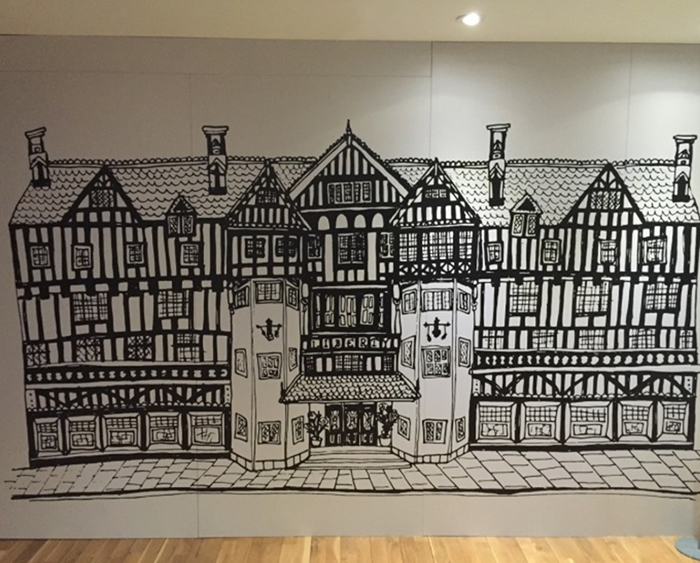 Also in this issue, Hikaru’s regular “World of Hand Work” column features the great master of British print designers, Sarah Campbell. 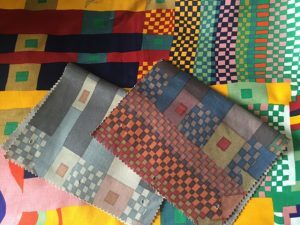 When I was an early teenager, my father brought home some pieces of Liberty fabric from a UK business trip. One of them was “Bauhaus”, the most famous Collier Campbell design for Liberty (Sarah Campbell was a partner in the textile design duo), a design which I really love. 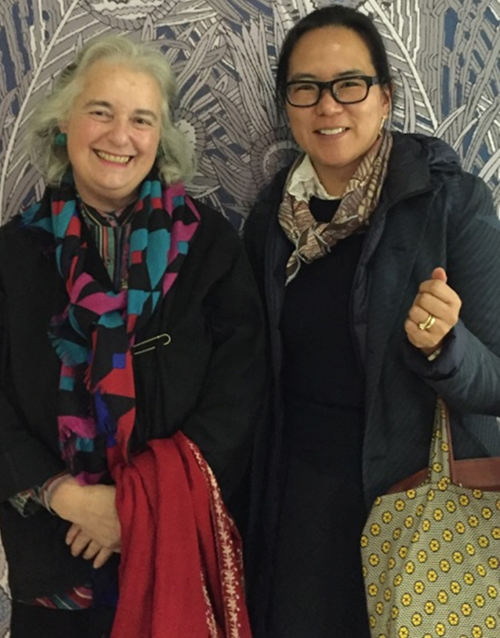 So it was very special to meet Sarah Campbell and hear her life story as a professional designer for the article. 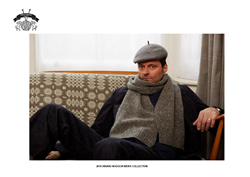 For Kaitodama Magazine’s Summer Issue 2016, Hikaru Noguchi reports on KNIT WITH ATTITUDE a knitting shop in Hackney, London and writes about the new English knit fashion star Katie Jones. 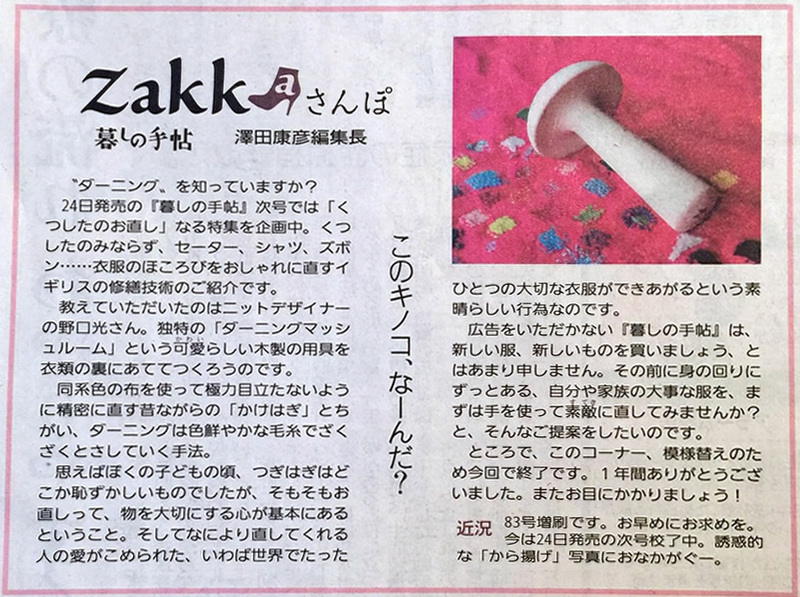 Two articles by Hikaru Noguchi appear in Keitodama Magazine’s Summer Issue. 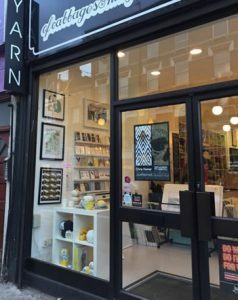 Firstly, Hikaru writes about a knitting shop in Hackney, London. KNIT WITH ATTITUDE, run by Maya Bang has a great selection of yarns from small individual yarn suppliers mainly in the U.K. Every product in the shop is carefully selected by Maya, who understands the process, concept and message of kitting creation. Knitting, especially hand knitting, takes a long time to finish (or sometimes not finish!) a project, so it is really nice to know the yarn’s origin and feel its story as a motivation in the knitting creative process. 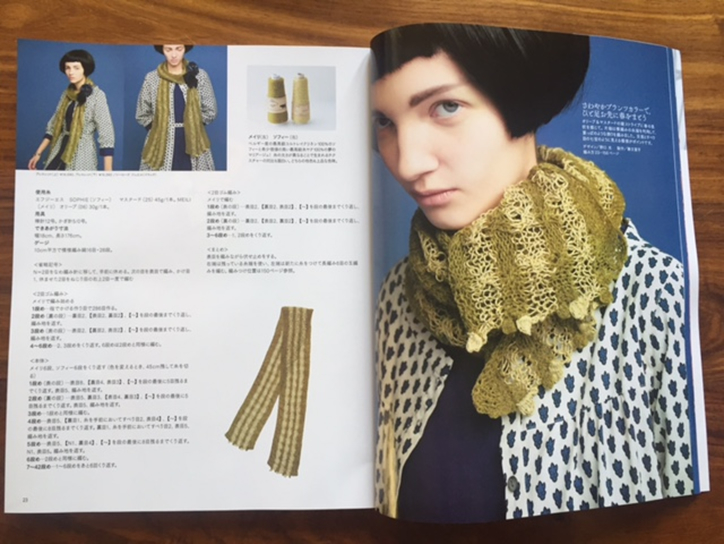 In the same issue of Kaitodama Magazine, Hikaru meets and reports on Katie Jones, the new star of English knit designers. Katie’s creations use mainly re-cycled materials, but avoid the “Eco”, “Green” and “Hippy” looks. She designs beautiful garments and accessories which are knitted and crocheted by knitters in her studio and local knitters. Hikaru loved seeing Katie’s bold use of colours and textures. 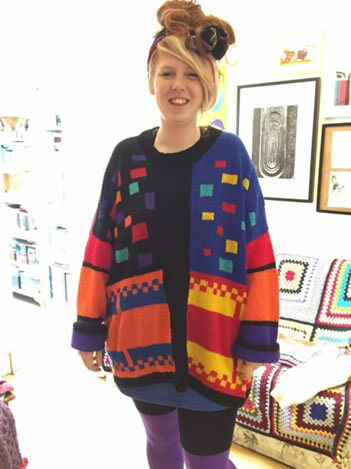 Katie is a great example of creative talent, technical skill, and materials coming together to create beautiful fashion items. For the Spring 2016 Issue of Quilts Japan magazine, Hikaru Noguchi reports on SHARK TOOTH in New York. 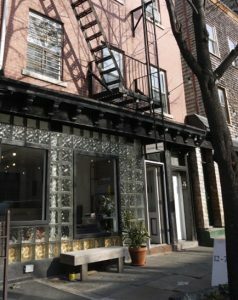 When last in New York, I went to meet Kellen Tucker who owns and runs a quilt and rag shop called SHARK TOOTH in Brooklyn, New York. Her trade mark products are hand dyed vintage quilts, which have been creating a new concept of the beauty of patchwork coverings for modern everyday living. During this North American trip, I also went to Montreal to discover stories of the Hudson Bay Company’s historical blanket trade. 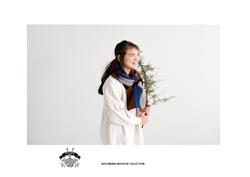 Hikaru Noguchi designed two airy light weight scarves for KEITODAMA Magazine’s Spring 2016 Issue, using very light super quality Linen and Alpaca mix yarn. Linen scarves are not only for spring and summer. They are great for wearing under shirts during the winter too. This design is very easy to knit for a hand knit beginner. KEITODAMA Magazine has great art direction, and their choice of model and styling work so well with the scarves. 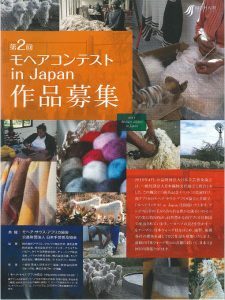 Even although the magazine is all in Japanese, there are a lot of non-Japanese knitters who enjoy it. 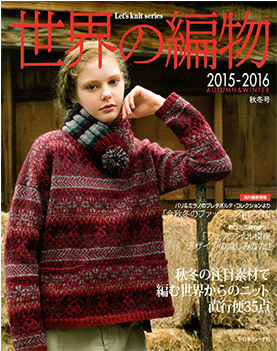 HIKARU NOGUCHI’s fairisle design pullover and scarf are on the front page of Sekai no Amimono knitting magazine. HIKARU NOGUCHI’s fairisle design pullover and scarf are featured on the cover of the 2015-2016 issue of Sekai no Amimono knitting magazine. In her regular column ‘Hikaru Noguchi’s knitting diary’ Hikaru shows how to take inspiration from everyday objects for developing fairisle patterns, and adds useful hints for designing colour variations too. HIKARU NOGUCHI writes about South African mohair in the 2015-2016 issue of Sekai no Amimono kintting magazine. South Africa is the world biggest mohair producing country. In the article Hikaru focuses on Adele’s Mohair which is an established mohair crafts workshop in the Eastern Cape.